1) Cream together the butter and sugar in a stand mixer. 2) When light and fluffy, add in the buttermilk and vanilla. 3) While that is mixing, mix together the cornmeal, flour, and salt. 4) Add cornmeal mixture in the mixer in two separate additions. 5_ Chill the dough for at least an hour, or overnight. 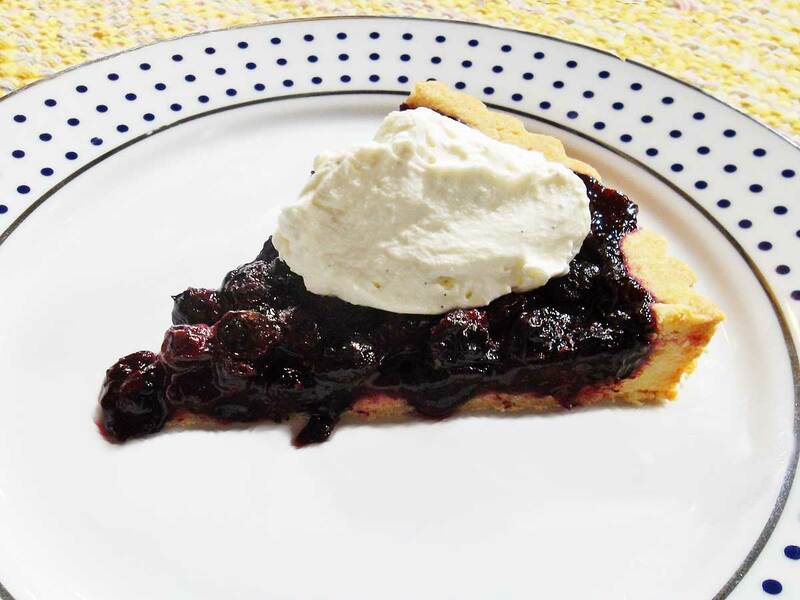 1) Toss the blueberries, with sugar, flour and lemon juice. 2) Line tart with dough, and chill before adding filling. 3) Once chilled about 5 minutes, pour blueberry filling in. and the berries are bubbling. 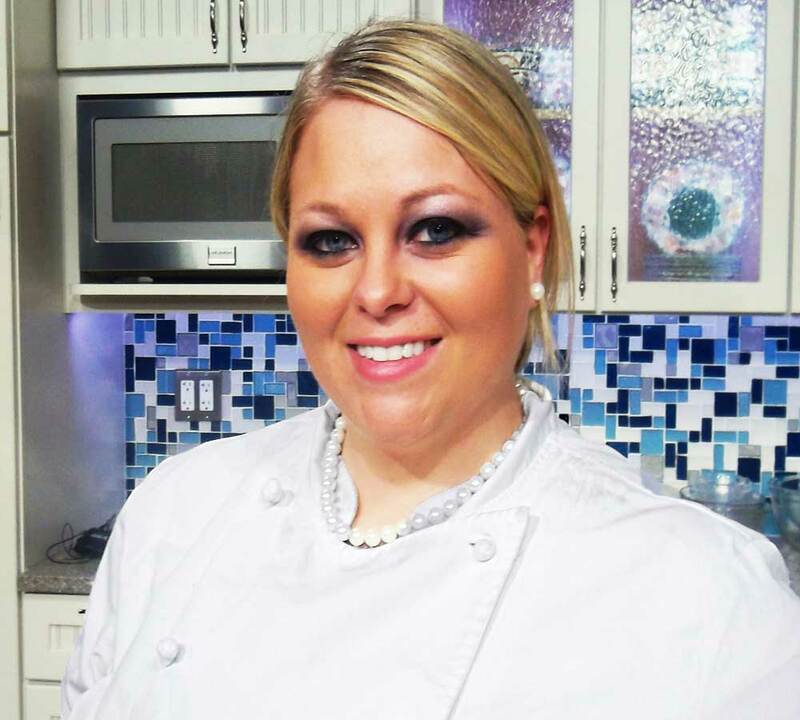 1) Bring butter and heavy cream to a boil in a sauce pot on the stove. of brown sugar have dissolved. 1) Cream the butter, sugar, brown sugar, and vanilla together in a stand mixer. 2) Add 1 egg in at time until incorporated into the batter. 3) Mix together flour, baking powder, and salt. 4) Add into mixture until all incorporated. the bottom to distribute all the ingredients in. 6) Pan spray a 10" cake pan. 7) Place a pre cut parchment circle in the bottom of the pan, and then spray again. 8) Add brown sugar sauce to the bottom of the pan. 9) Then put the pan in the freezer to firm in place. This takes about 5 minutes. 10) Take pan out of the freezer and place batter on top of the brown sugar sauce. 12) Turn the cake out of the pan immediately onto a plate or serving dish to cool. 13) Slice fresh peaches and toss with a little bit of granulated sugar. 14) Cover, and let sit until the natural juices have started releasing from the peaches. 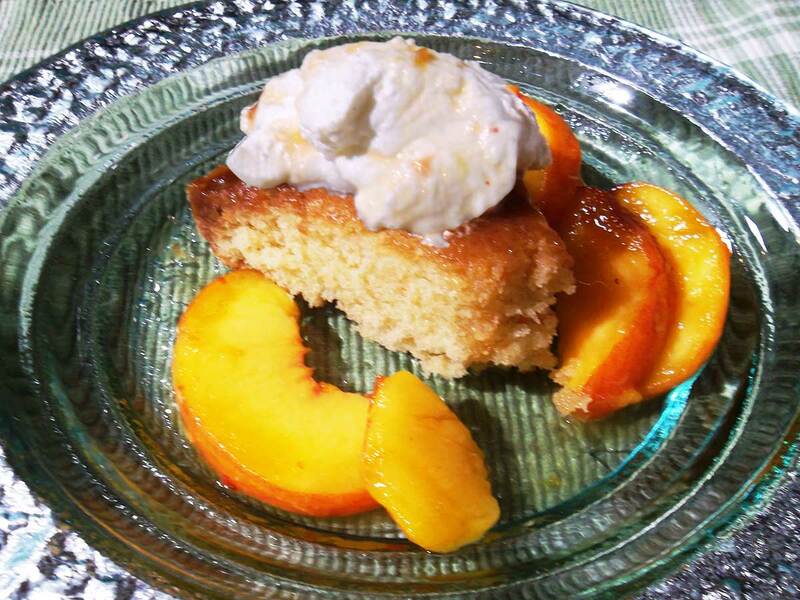 15) Spoon peaches over top of the cake, and serve with vanilla bean whipped cream!